Our restaurant is situated next to the old Saint Cricq Chalosse station, in a building dating back more than a hundred years. In the past, travellers, local people and those passing through used to eat and sleep there. This building has been recently renovated as an up-to-date restaurant, where you are welcome to enjoy an aperitif by the fireside followed by lunch or dinner in one of the three dining rooms. When the weather is fine, we have pleasure in inviting you to sit in the garden with a magnificent view of our giant bay tree against the background of the Pyrenees. Our restaurant meets all the most recent standards of accessibility for those with restricted mobility. 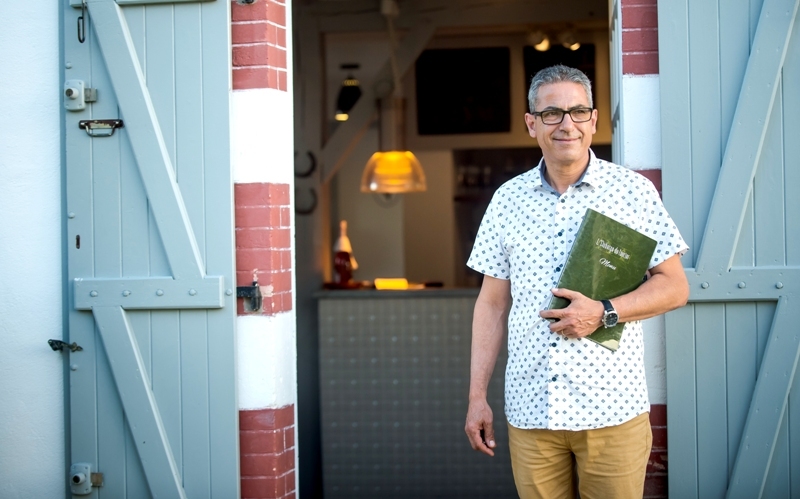 Our manager Nabil, with his great enthusiasm for gastronomy and fine dining, will make you personally welcome. His experience in hospitality goes back many years and he will ensure that you feel pleasantly at home with us. I greatly look forward to welcoming you and introducing you to our new Chalosse restaurant !